I love Cyberduck. To make it even better it would be great to have different overwrite options when uploading files to a remote server such as Overwrite only if newer of different size. Screen Shot 2013-09-17 at 14.51.23.png​ (39.7 KB) - added by dkocher on Sep 17, 2013 at 12:51:37 PM. 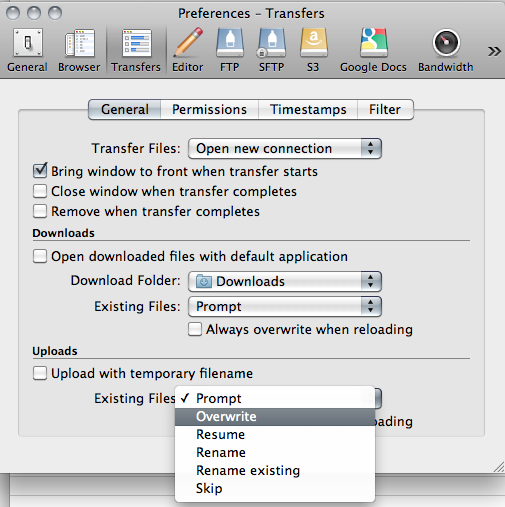 Different options for existing files are in Preferences → Transfers → Uploads.